Josh Cashman joined the GTC-ELITE training group. 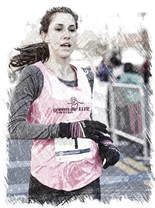 The resident of Simpsonville, SC and one of the top local runners was a top local performer in Greenville area races since graduating from High Point University in 2010. 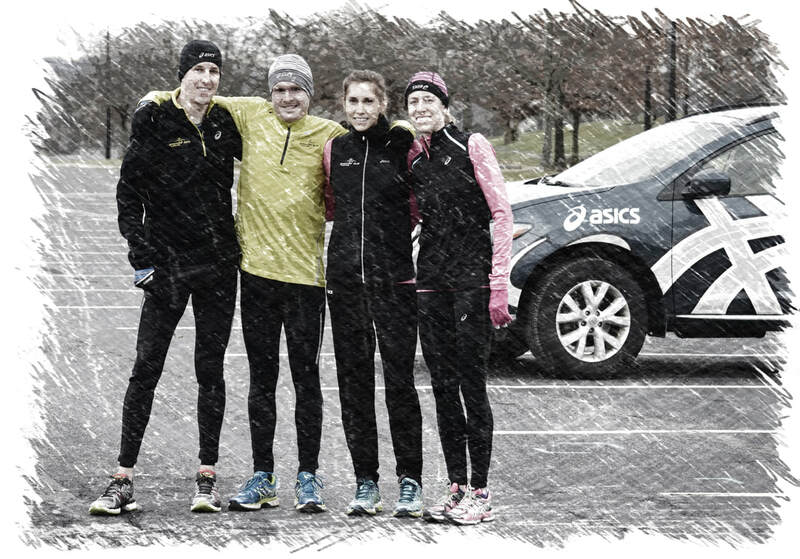 Although his best 5K of 14:56 was just seconds off the "B" qualifying standard for the GTC-ELITE team, he looked to benefit from joining the training group and to achieve a qualifying performance. GTC-ELITE went three for three in earning prize money in Greenville's 36th annual TD Bank Reedy River Run. Adam Freudenthal placed fourth overall ($300) and was the first South Carolina finisher ($250) to take home a total of $550 with a time of 31:04 over the hilly 10-kilometer course. Kimberly Ruck, a former 2-time Atlantic Coast Conference champion at Clemson and a brand new member of the GTC-ELITE finished 5th overall among the women competitors ($200) and was the first female South Carolinian finisher ($250) for a total of $450 with a time of 36:54. Also new to the GTC-ELITE, local favorite Josh Cashman won the 5K event with a time of 15:31 to earn a check for $250. Former Clemson University standout Kimberly Ruck joined the Greenville Track Club-ELITE post-collegiate program, sponsored by ASICS. A two-time ACC champion (indoor 5,000 and outdoor 10,000) Kimberly was the initial female to be selected for the GTC-ELITE. Trinity University graduate Chass Armstrong joined the program. Armstrong was a DIII All American Indoors while competing for San Antonio's Trinity University and had a personal best of 1:06:46 at the half-marathon and had recently placed second in the Austin Half-Marathon with a time of 1:06:54. That performance qualified him for the 2013 USA Half-Marathon championships in Duluth, MN. GTC-ELITE athlete Wallace Campbell graduated from Clemson University with his Ph.D. in Applied Economics. Dr. Campbell's dissertation was titled "Valuation of timberland under price uncertainty." Four ASICS GTC-ELITE runners greeted the rising sun in the 34th Annual Sunrise Run covering 8 kilometers in Simpsonville, SC on an very early Saturday morning. Dr. Wallace Campbell broke away from the leaders in the sixth kilometer to win in a time of 25:20. Kimberly Ruck won the women's race with a time of 29:24. The group's newest member, Chass Armstrong finished third in 26:00, with Josh Cashman, making a return to racing following time off due to injury, placing 4th in 26:07. Wallace Campbell and Chass Armstrong covered the half marathon distance in 1:06:53 and 1:06:58, respectively (5:07 per mile pace) at the 2013 USATF Half-Marathon Championships in Duluth, MN. In what was described as the deepest half marathon field in US history, the GTC-ELITE men ran close together as they passed the 5K mark in 15:35 and 15:40 (5:01 and 5:02 per mile pace). Slowing moving their way up through the field of over 150 qualifiers they passed 10K at 31:21 and 31:24 with Armstrong slightly ahead. They hit 10 miles in 50:55 and 50:58 before Campbell passed Armstrong during the next 3K. Campbell's time was a new personal best by one minute and 17 seconds (1:17), while Armstrong was only 12 seconds off his previous best. Their overall placings were 68th and 70th as 138 of the nation's best distance runners finished. ASICS Greenville Track Club-ELITE athletes took the first three places and also the top women's place in the Michelin 5K on a cloudy and cool Saturday morning. In their first competition since the USA Half-Marathon Championships in June, GTC-ELITE broke out their competition gear to check their fitness approaching the fall racing season. Adam Freudenthal and Chass Armstrong grasped hands before crossing the finish line together in a new course record time of 15:01. Josh Cashman followed in third at 15:35, while Kimberly Ruck won the women's title in 17:38. Adam Freudenthal placed second overall in the 36th running of the Peoples Bank Midnight Flight 5K in Anderson, SC on a warm and humid night, finishing at 15:00. Teammates Wallace Campbell and Josh Cashman placed 4th (15:38) and 5th (15:54) respectively and just out of the prize money for the top three finishers. In the women's 10K event, Kimberly Ruck ran 37:12 to earn second place prize money, while teammate Chass Armstrong earned third place prize money in the men's division with a time of 33:00. Adam Freudenthal and Kimberly Ruck placed 9th and 10th among men and women, respectively, in the 36th edition of The Great Cow Harbor 10K in Northport, NY. Freudenthal ran 31:01.1 and garnered 9th place prize money for his effort. Ruck covered the hilly route in 35:44.5 to place 10th and claim the final prize money spot. Chass Armstrong was 13th overall with a time of 32:14 in a field of almost 5,000 finishers. Chass Armstrong, Chris Caldwell and Josh Cashman placed second through fourth at the 7th annual Benson Twilight 5K road race in Greer, SC. Kimberly Ruck ran 34:50 to place 32nd in one of the deepest women's fields in the country at the 37th Annual Tufts Health Plan Women's 10K. She averaged 5:37 per mile and was the 23rd American. Adam Freudenthal ran 24:38 to place fifth in the Blue Ridge Open, hosted by Appalachian State University in Boone, NC. improving his time by six seconds from the 2012 event over the 8-kilometer cross country route situated at 3,000 feet elevation. Adam Freudenthal ran a personal best over 8 kilometers to place 7th in a stellar field at the Main Street Crit in Columbia, SC. The former Winthrop University standout lowered his personal best to 23:52 (4:48 per mile) while earning some of the prize money awarded to the top eight finishers. The event was modeled after a cycling criterium and consisted of running just over nine laps around a two-block route in downtown Columbia. Josh Cashman also ran a personal best of 25:34 to place 14th. Ricky Flynn, a 7-time All American and NCAA DIII Cross Country champion while earning his degree in business at Lynchburg College, joined the program. Following his outstanding collegiate career he also earned his MBA at his alma mater. 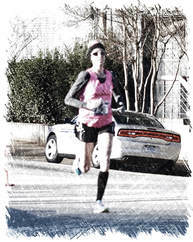 He qualified for the 2012 USA Olympic Marathon Trials in Houston, TX by meeting the qualifying criteria of completing a Half Marathon under 1:05:00 when he ran 1:04:14 (4:54 per mile pace). At Houston in January of 2012, Ricky passed the halfway point in 1:07:05 and was the only runner among the top 20 finishers to run negative splits (faster second half than first). He placed 12 overall with a debut marathon of 2:13:41. Flynn also had solid credentials on the track with personal bests of 13:59 (5,000) and 29:21 (10,000) and improved his best Half Marathon to an impressive 1:03:44.